Alexandre Turpault has perpetuated since 1847 a unique know-how in the world of decoration and well-being. Precious materials, subtle and luminous colors make each of its collections a new emotion, an invitation to dreaming and enjoying the sweetness of life. results from this ambition to give art a place in our day-to-day lives. 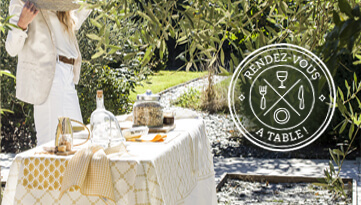 Since 1847, the Alexandre Turpault's company has been designing, producing and distributing beautiful household linen with the greatest respect for French tradition. 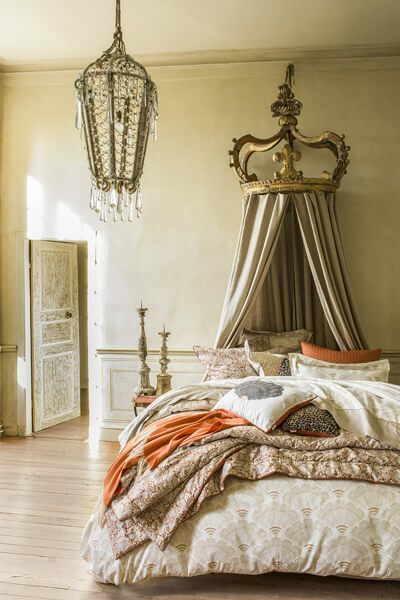 The quality of materials (pure linen, fine cotton), the fineness of the decorative details (embroidery, Venitian laces…), the unsurpassable quality of its WHITE, have made the reputation of excellence of the brand. These savoir-faire, becoming scarce nowadays, come from the greatest French tradition of the trousseau and the decorative arts. These crafts are preserved and enriched over time, and contribute to the French art of living. As early as 1862, Alexandre Turpault takes part in the expansion of modern distribution and the development of department stores. 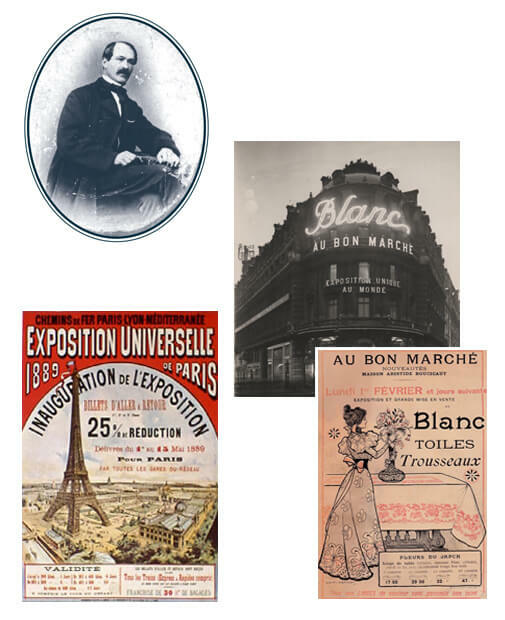 He is the main supplier of bedlinen products of LE BON MARCHÉ, famous department store in Paris founded by Aristide Boucicaut, one of Alexandre Turpault's friends. Both share a humanist vision of labour and a great commitment towards a better society. 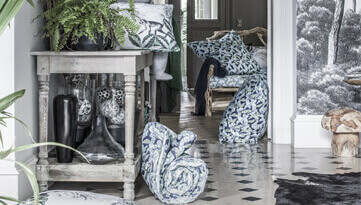 They create together the first major event for home linen in France: "Le Mois du Blanc", still organized every January for more than 150 years now..
For years, Alexandre Turpault is one of the major players in the luxury market. He was rewarded in 1878 and 1889 at the Universal Exhibitions in Paris and received a silver and a gold medal for the quality of his fabric and for his active commitment against imported fabrics. 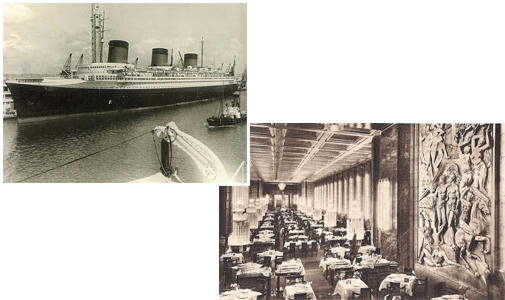 In the early 1930s, he dressed the tables of the famous steamer "Normandie" with magnificent damask tablecloths. Thanks to his know-how and his success, Alexandre Turpault is diversifying his activity. What do we mean by Savoir Faire? At Alexandre Turpault's, human expertise has a central part in our business and we give much value to a precise and meticulous "know-how". This technical expertise, developed over time, is divided into several crafts. These crafts requests strong human qualities from both heart and mind: confidence of the glance, intelligence of the hand, teamwork, listening, concentration, patience and the meticulousness. 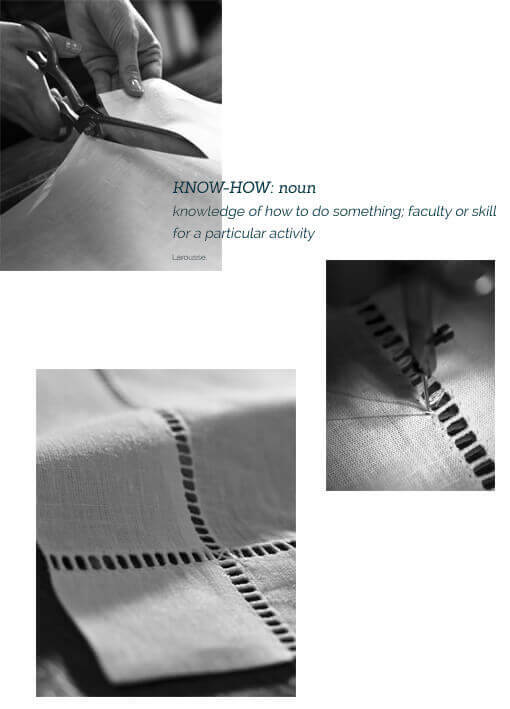 - Crafts of materials, intimate knowledge of noble fibers, linen in particular, and how to understand the quality, weaving, finishing of the fabric, dyes, touch sensations, everything we need to produce soft and comfortable products. - Crafts of manufacturing, cutting, sewing, stitching, choosing the yarns, everything we need to produce quality products that will last over time. - Crafts of decorative arts, various form of textile printing more and more innovative, classic embroidery, inlaid laces or guipures, insertion of ribbons and stripes, and of course the tradition "Venetian laces" that has become Alexandre Turpault's specialty..
Our expertise is to offer you the best materials for a lasting comfort and an uncompromising aesthetic pleasure. In a few words, Alexandre Turpault's style is about simplicity, elegance and efficiency". How the brand can be defined? A very French style, timeless chic, both simple and sophisticated, urban and authentic, with a harmony between feminine and masculine. A naturally luxurious look, which one never tires of. What are the strengths of the brand? Alexandre Turpault is above all a brand of "MATERIAL". One of the strong points of the brand is to offer a large variety of natural noble, beautiful, durable and comfortable materials. The quality of each one of them (linen, cotton, wool ...) is studied for its comfort and tested before being release on the market. 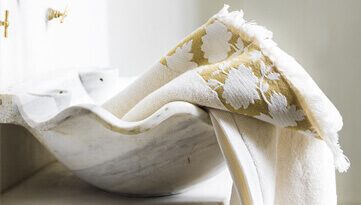 A creator of elegant household linen, Alexandre Turpault is proud to be heir to French expertise dating back over 170 years, which is perpetuated in our workshops in Nieppe, located in the north of France. 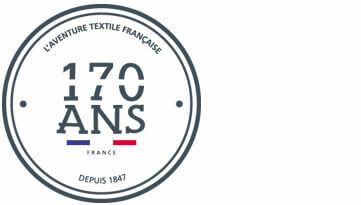 ...We make sure that we offer constant high-quality materials: linen, halflinen, cotton. 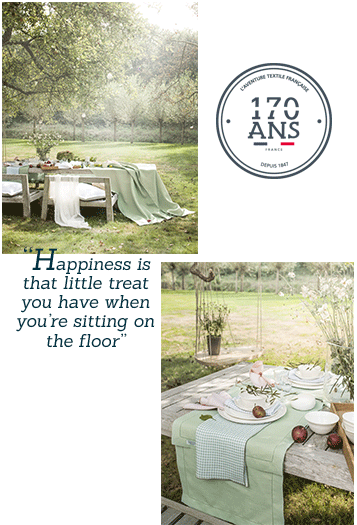 Our pure linen offers a greater resistance over time. 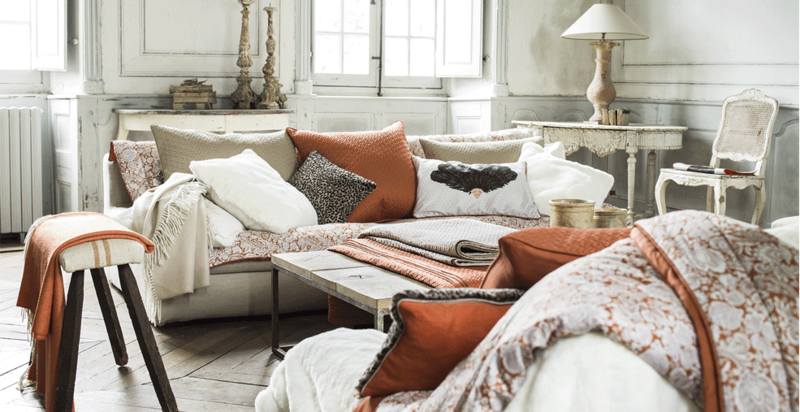 Our halflinen combines European linen and cotton for a pleasant feel and easy-care. Our top quality cotton comes from Egypt and has 305/inch² for plain dye and printed sateen, and until 500 TC/inch² for jacquards. Our 200 TC/inch² cotton percale benefits from an Easy Care treatment.